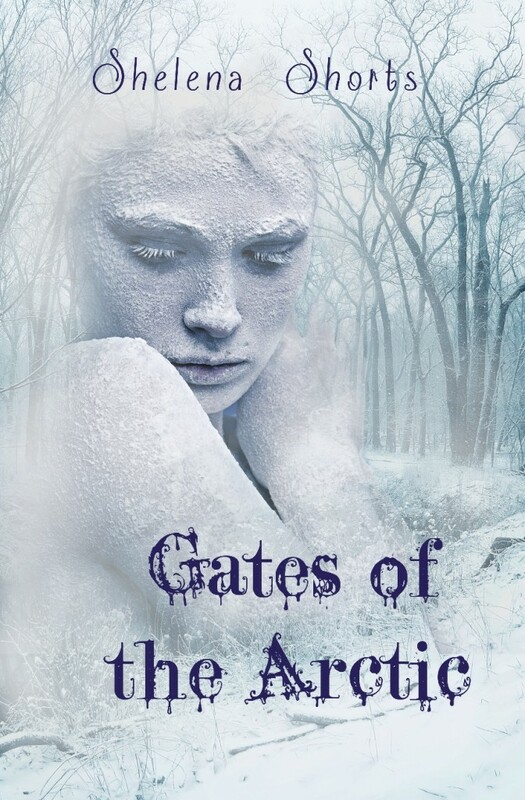 Gates of the Arctic is the new young adult/new adult book by my all time favorite author Shelena Shorts. When I first heard about this new book, I think that was in May of 2014, I could not wait to read it. After all, the last Shelena Shorts book was released in 2012, so I had already been waiting for a while. But here we are, December 2015: time for a new book! And it was worth the wait! If ever there was a moment where Risa had no idea what to feel, it was right then and there. Half of her wished her parents had never filled out that application and the other half felt some sense of hope that everything would work out. And somewhere in between she felt sure the place she was going would turn her into someone she was afraid of. Like being saved wouldn’t matter, because the real Risa would die anyway. Why live through something only to come out a different person you wouldn’t even be able to look at in the mirror? Gates of the Arctic is about nineteen-year-old Risa, living in the 22nd century. A pandemic has killed over 70 percent of the world’s population. This virus, NORO-6, is spreading to Risa’s neighbourhood. The only chance of survival is the Safe City, a compound at a secret location, far away from everything and safe from NORO-6. The only thing is only a select few people get to go to the Safe City. Risa and her family get selected to get screened to gain access. But from the point Risa sets foot in the bus, her life is turned upside-down. She is the only one in her family to make it through to the next screening. She is torn away from her parents and even worse; her two-year old daughter. As soon as Risa discovers she is taken away from her loved ones, all she can think about is how to get back to them – no matter the cost. Like I said, I’ve literally been waiting for this book for years. I’ve loved Shelena Shorts’ writing since I read the first book in the The Pace series, The Pace. I think it would be weird if I’d never stumbled across that book while searching for book treasures at a Dutch webshop, browsing from the last page in the YA section to the first page to avoid the popular books. That book became one of reasons I started reviewing, I wanted to spread the booklove. A few years later I started GotToReadThoseBooks. Did you know the review about The Pace was the first review I ever wrote for GotToReadThoseBooks? Since I met Sophie and Wes (from The Pace series), no book has been the same. They’re hard to compete with. Even for Risa and Camsen. They had nothing on them! I have to be honest, I did not imidiately love this new Shelena Shorts book. I was still missing Sophie and Wes, heck even missed Vasi from The Syndicate. And I have been looking forward to this book for so long, my expectations where sky-high. But as the story continued and the characters grew I got hooked. Well maybe hooked isn’t the right thing to say while the nickname of the deadly virus NORO-6 is The Hook, but I think you know what I mean. Besides Shelena Shorts’ awesome writing style which brings a whole new world to life from page one, I also really liked that Risa is a little older than the average YA character. The book really gets you thinking what you would do if you were is Risa’s situation. I think therefore this book will be a great read for Young Adult and New Adult readers. Gates of the Arctic will release on 12/10/15. Do you want to win a copy of Gates of the Arctic by Shelena Shorts? Check this page. Review: The Pace, Review: The Broken Lake, Review: The Iron Quill, Review: The Hour of Dreams, Review: The Syndicate. I love Selena Shorts books. They have all been awesome. Would love the Pace series to be on TV. I totally agree! A tv show would be awesome!